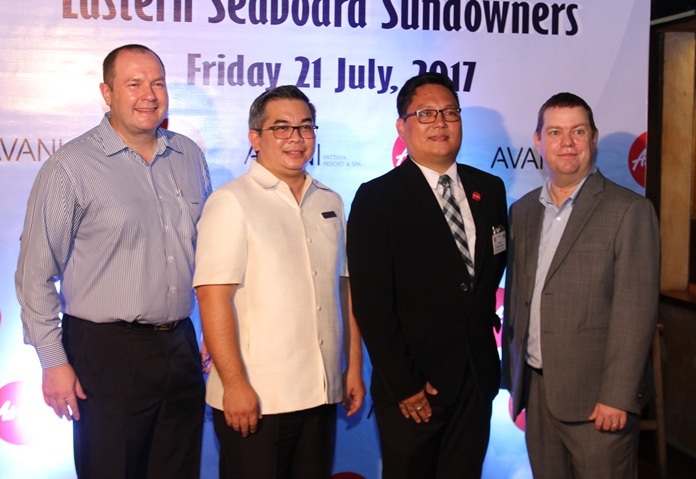 (l to r) Wayne Williams, Senior Vice President Finance, Minor Hotel Group; Captain Lakanarangson, Air Asia; Terapan Chuaprasert, Executive Assistant Manager AVANI Pattaya Resort & Spa; Brendan Cunningham, Executive Director Australian Thai Chamber of Commerce. PATTAYA – Following on from a site visit to U-Tapao in the afternoon, some members of the combined Chambers of Commerce found their way to the Avani Pattaya Resort and Spa and its Dicey Reilly’s Irish pub for an evening of card swapping, AKA networking. 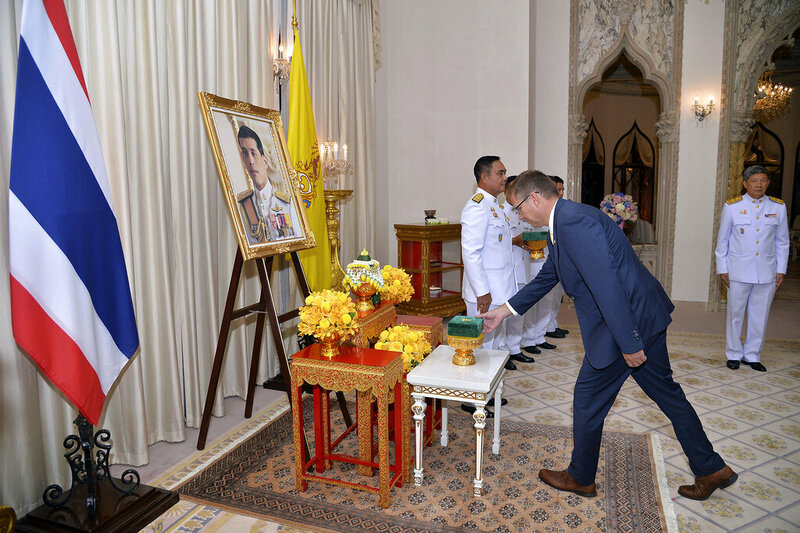 Newbies are easily spotted as they still have enthusiasm and Saruttaya Doonsuk a new recruit for Manpower was working hard in her new position as Recruitment Consultant for the world at large. Bangkok Hospital Pattaya also had some of their new staff starting their business card collection, including German/Swiss Marc. It was not noted by many that the free car parking has finished, resulting in much fumbling for small bills at Check Point Charlie. The next Eastern Seaboard networking night is Friday 25 August 2017 with the British Chamber of Commerce Thailand (BCCT) at the helm looking for sponsors. The event will be held at the [email protected] Hotel.